Jesse James became interested in bodywork after receiving a massage in 2000 that literally changed his life. Amazed at how much healthier, productive and happier he felt, Jesse decided to make touch and the healing arts his life’s work. More than a decade later, Jesse now holds the title of Master Massage Therapist, having amassed more than 2,000 hours of training and delivered in excess of 14,000 hours of on-body work. He created the Jesse James Method™, a full body reset that has quickly become the preferred treatment of athletes and health professionals. As an instructor, Jesse has worked with the fitness trainers and physical therapists of Major League Baseball’s “Cactus League,” teaching them techniques to enhance player development and improve performance. His treatment philosophy is highlighted in the book You’re Lucky To Be Alive Despite Your Healthcare: A Practical Guide to Patient Navigation by patient advocate and author Lindsey Kroll. He is a featured instructor in Ms. Kroll’s patient advocacy curriculum at Gateway Community College in Phoenix, Arizona. Jesse is a licensed yoga instructor, has studied many spiritual practices and intuitive energy work. He relentlessly pursues new modalities, practices and techniques that deliver the kind of predictable, reliable results Jesse James clients have come to expect. 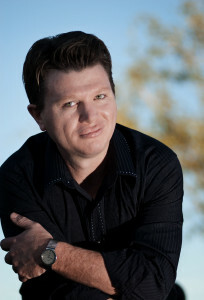 Extensive research, training and on-body work experience led Jesse to develop a unique massage method. The signature treatment, since dubbed the Jesse James Method™, unerringly releases past patterns of tension. Moving beyond routines and recipes, Jesse James Method™ is a creative, dynamic, problem-solving approach that challenges therapists to feel with their hands, think with their brain and listen with their heart. Clients consistently report relief from pain and trauma stored for years—sometimes decades—in their muscle tissue. When a client’s body releases those past patterns, their health, vitality and freedom of movement is restored in a way they never thought possible!